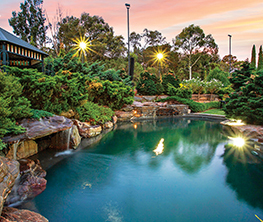 In this week’s look at South Australia’s most premium properties, see inside a beachfront home with prominent gulf views (including from the bath), impeccable renovations in St Peters and Malvern, and a low maintenance luxury home in Toorak Gardens. 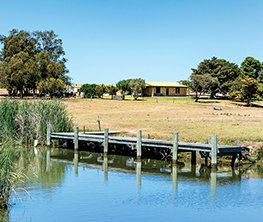 Cheryl Triantafilidis and her husband Steve were living in London when the yearning to return home hit in 2012, which is when they purchased their just-built beachfront property. Steve, who is a wealth manager with Morgan Stanley, and Cheryl admit it will be hard to part ways with the sumptuous three-bedroom home, but the time is right. 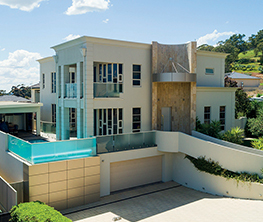 The ground level of the home features the open plan kitchen, dining and lounge all overlooking the pool. There is also a separate family room, and balcony overlooking the beach. 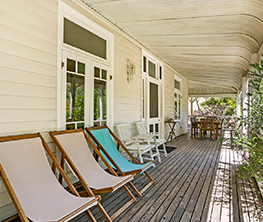 “The sea view is fabulous and it is all about lifestyle down here on the esplanade…. it is so alive and yet so relaxing,” says Cheryl. Cheryl says the couple are now spending more time in Europe and Asia with their sons so it’s time to sell up. 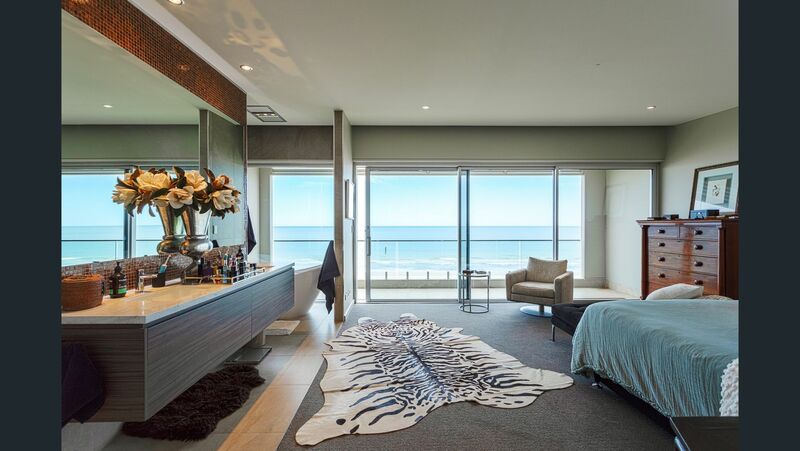 The beachfront property at 43A North Esplanade, Glenelg North, which also boasts a lift, has been listed in the $2.4-$2.6 million bracket and is being handled by Elders agent Gary Krievs. Naf Saric explains that her husband Vat is a builder and a perfectionist, which gives some insight into the immaculate renovation they’ve done on their St Peter’s home. 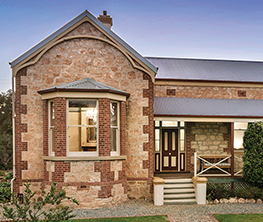 Naf, a property valuer, and Vat, who owns Sarico Building Group, purchased the property a decade ago and lived in it for a couple of years before undertaking the extensive reno. But with a growing family – they have three young children- Naf says they simply need more space. 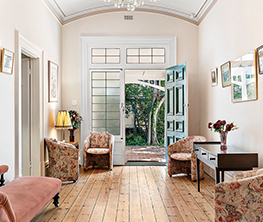 Naf was very hands-on with the interior choices throughout the home – her must-haves included crystal cupboard handles from Sydney, Empire chandeliers in the hallway and the 2.7-metre internal custom made doors. The home features four bedrooms, a study, and light and open plan living with frameless bi-fold doors. Naf says no expense has been spared on the renovation, including the great outdoor entertaining area complete with pizza oven and solar heated pool. “We’ve had so many parties,” she says. “We know our friends will miss this house! 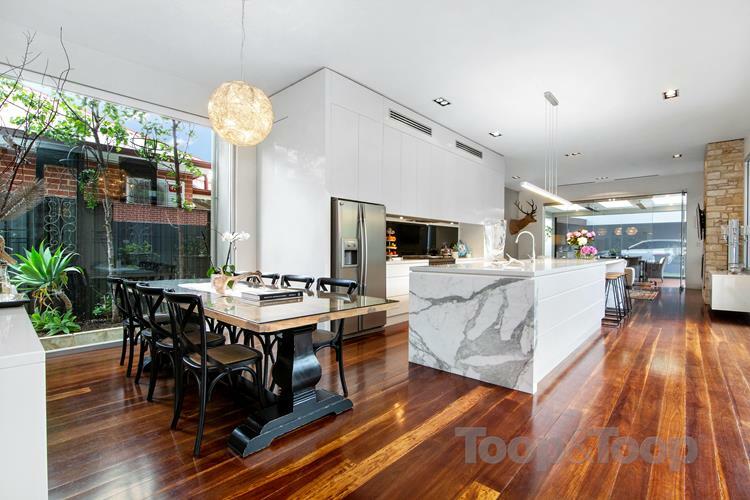 The home is being sold by Toop & Toop agent Sally Cameron and best offers close 12 noon on Monday, December 10. 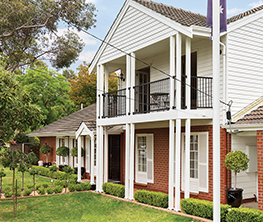 With a modern, self-contained wing, this huge Malvern property is the perfect place for extended family living. 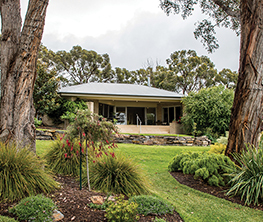 The sandstone villa was renovated four years ago, with an open plan extension added, plus the self-contained wing, pool and landscaping. The home is owned by lawyer Jeremy Rees and wife Lucy, who have lived there with their two children Sophie, 20 and James 18, for the past 11 years. However, the time has come to downsize and Jeremy says they’re hoping to stay in the Malvern area. 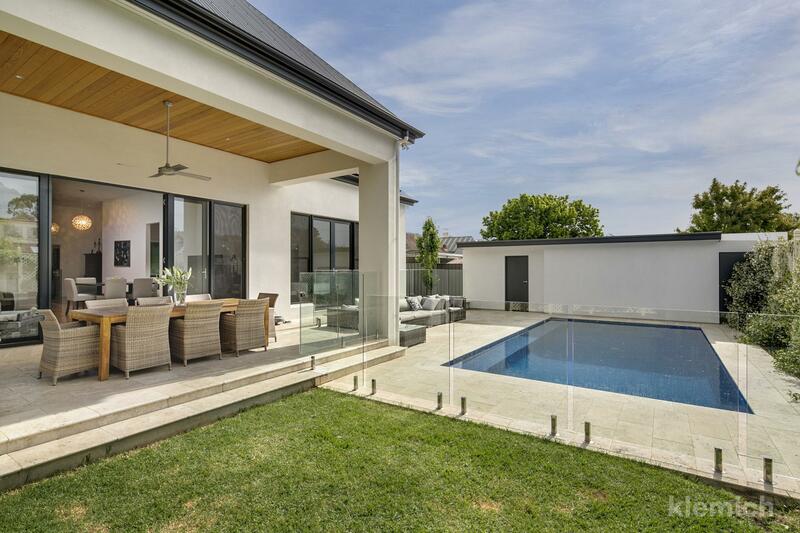 The property has 22.86-metre street frontage and boasts up to six bedrooms, three living zones, large master bedroom with walk in robe and renovated ensuite, study and great outdoor entertaining area with fully tiled heated pool. 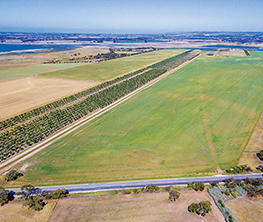 The property is being sold by Oren Klemich and expressions of interest close on Tuesday, December 11, at 12 noon. 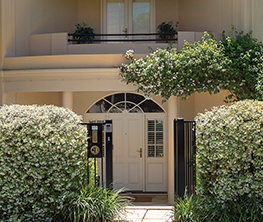 Retirees Dr David McCleave and wife Claire have lived in their luxurious Toorak Gardens home since 1994, when they had it built, but have now decided it’s time to move into something smaller. 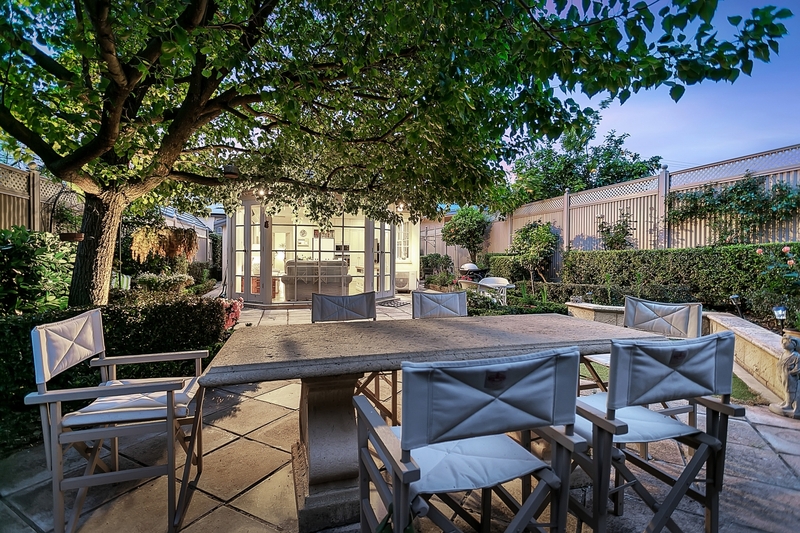 Situated on prestigious Alexandra Avenue, the picturesque home boasts a large master suite, two to three additional bedrooms and a light, open plan living area looking onto the garden and low maintenance outdoor area. The home also features cathedral ceilings, an open fireplace with gas space heating and huge four-car garage. The property at 122A Alexandra Avenue is for sale through agent Jock Gilbert and open for inspection tomorrow (Saturday, December 8) at 1.15pm.